ROWLAND HEIGHTS >> A “heavily tattooed” knife-wielding carjacker forced a man to drive him a short distance before fleeing in the victim’s car in Rowland Heights on Thursday, officials said. The unfolded about 7 a.m., Los Angeles County sheriff’s Lt. David Buckner said. The victim, a man in his mid-40s, was uncertain where exactly he was in Rowland Heights when the carjacker climbed into his car and brandished a knife, but it was in the vicinity of La Cueva Drive. Buckner said the carjacker ordered the victim to drive to a residential neighborhood in the 1800 block of Camino Viejo in Rowland Heights. Once there, the man ordered the victim out of the white, 2000 Mitsubishi Galant and drove away, Buckner said. No injuries were reported. 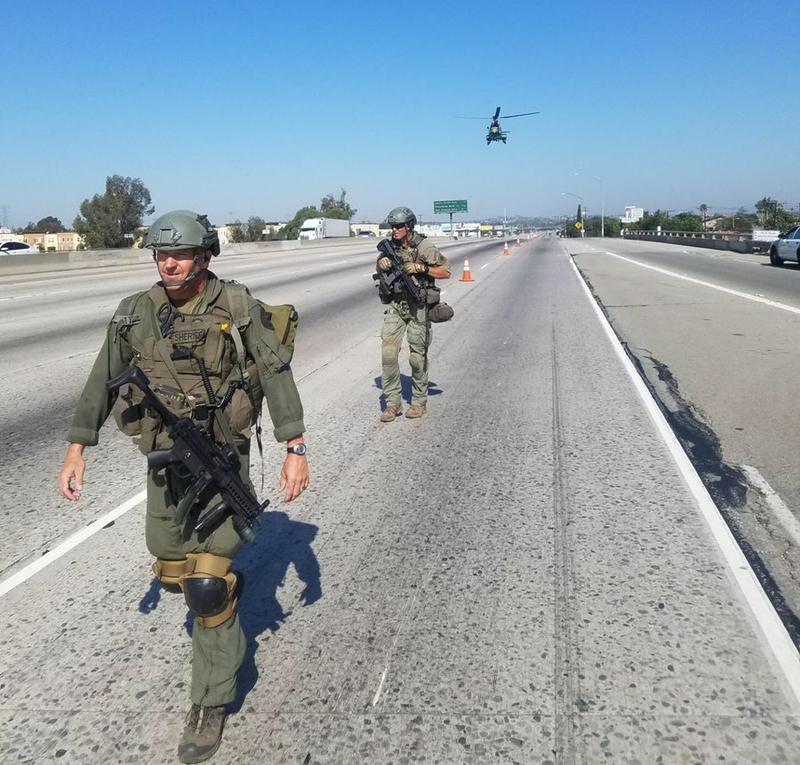 Officials described the carjacker as a Latino man of about 40 years old, “heavily tattooed,” of a heavy build, with a shaved head. SOUTH WHITTIER >> A man carjacked a woman at gunpoint in the carport of a South Whittier apartment complex on Saturday afternoon, officials said. 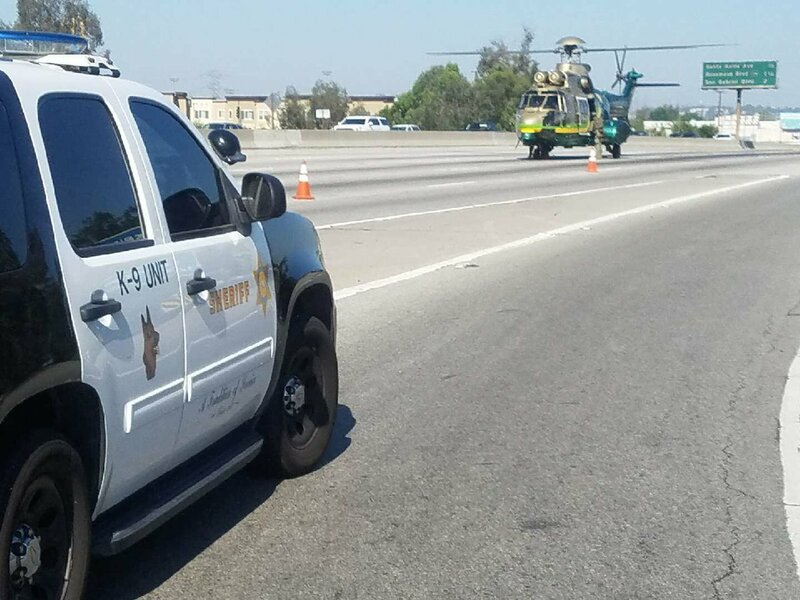 The crime was reported about 1:55 p.m. in the 12300 block of Clearglen Avenue, in the unincorporated county area, Los Angeles County sheriff’s Sgt. Jason Cunningham said. A victim, a woman in her 40s, was in the carport when a man approached her, pointed a handgun at her and demanded her car, the sergeant said. “The victim complied and gave her keys to the suspect,” he said. The carjacker fled in her vehicle. He was described as a Latino man in his 20s, about 5 feet 6 inches tall, 200 pounds, wearing all-black clothing. A description of the stolen car was not available Sunday afternoon, Cunningham said. It had not been recovered. COVINA >> A man carjacked a woman and her passenger when they stopped to use an ATM in Covina on Thursday, officials said. The crime took place about 11:55 a.m. after a woman arrived at an ATM in the 900 block of West San Bernardino Road, just west of Azusa Avenue, Covina police Lt. John Zumwalt said. Another woman was riding as a passenger in the car. After the driver got out of her car and went to use the ATM, the carjacker jumped into the driver’s seat, the sergeant said. He told the passenger, “Get out of the car or I’ll shoot you,” Zumwalt said. The passenger, a Corona woman, complied. The man then drove off in the freshly-stolen gray, 2016 Honda Civic with a California license plate of 7RDZ780. The car was last seen heading west on San Bernardino Road. The car had not been found Thursday afternoon. Zumwalt said the carjacker was described as a black man in his mid- to late-20s, between 5 feet 9 inches and 6 feet tall, about 170 pounds, wearing a dark blue shirt. PASADENA >> Police arrested a parolee on suspicion of attempted carjacking after he entered a parked car with two children sitting inside on Saturday morning, authorities said. Donnie Jake Gutierrez, a 26-year-old transient, was jailed following the 8:30 a.m. incident in the 100 block of North Oak Avenue, Pasadena police Lt. Mark Goodman said. A woman left her two children, ages 1 and 7, in the back seat of her car as she stopped in at a business, he said. As the children waited for their mother to return, Gutierrez opened the driver-side door and began peering around inside the car. The older child asked the man what he wanted, and he closed the door and walked away, Goodman said. The child reported the encounter to his mother, who called police, according to the lieutenant. Officer found and arrested Gutierrez in the area without a struggle. Based on “the totality of the circumstances,” police arrested Gutierrez on suspicion of attempted carjacking, Goodman said. Gutierrez, who is on parole due to a previous conviction, was being held without bail pending his initial court appearance, was expected to be held without bail pending his initial court appearance, Goodman said. According to Los Angeles County Superior Court records, Gutierrez was charged with the same crime — attempted carjacking — in January, but the case was ultimately dismissed. Gutierrez was convicted of making criminal threats and providing false identification to police in August, records show. He was also convicted of possession of methamphetamine and petty theft in 2014, as well as robbery in 2009.